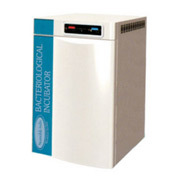 We are one of the prominent dealers and exporters of imaging machine, ventilator equipments, operation theater equipments, bio medical spares, hospital maintenance services, academic and training for medical technologies, etc. Manufacturers and exporters of bmi scales, counter scales, domestic weighing scales, personal weighing scales, bathroom electronic scales, spring balances, measuring tapes, portable plateform scales, electronic weighing scales, fake note detectors, currency counting machine and sealing machines. 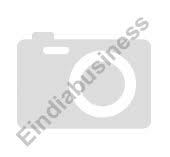 Vishwakarma Weighing Eqp (P) Ltd. Manufacturer & exporter of new and innovative weighing scales and balances, analytical balance machine, designed for the laboratory, educational, medical and industrial markets. LOAD CELL FOR WEIGHING SCALES S Type Load Cell Capacities: 50 KG-20 M.T. Low profile for tensile testing, industrial weighing, Industrial Automated Plants, Online weighing. Electroless nickel plated alloy steel construction. IP66 protection. Complete environmental protection. 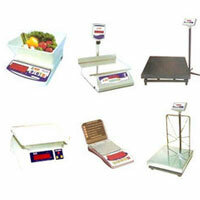 SHAAD ENTERPRISES Is manufacturer and supplier of all types of weighing scale and machine . 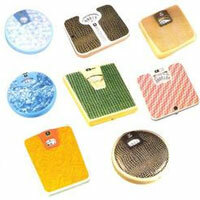 We are leading supplier of 200gm Electronic pocket weight scale machine etc. 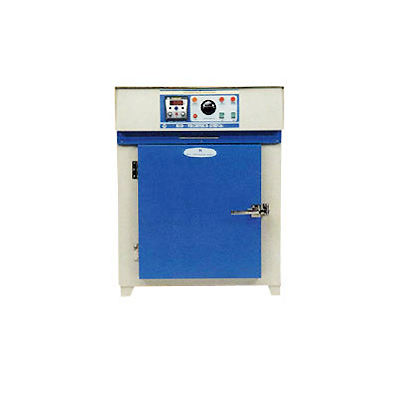 We manufacture trader & suppliers of industrial electronic components,weighing scales, instruments, power cords etc. Auto Arts Manufacturers & Retailers of electronic weighing scales, etc. 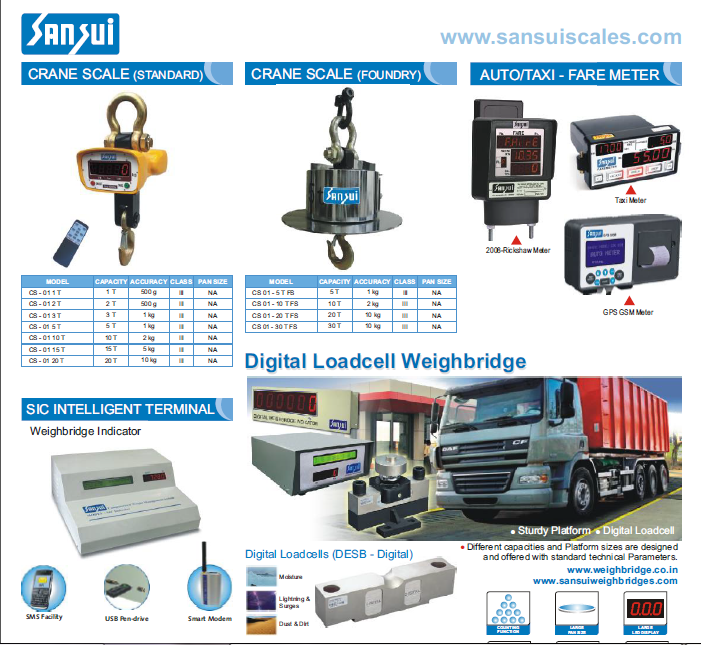 We manufacture importer & exporter of weighing scale, weigh bridges, weighing system etc. mobile weighbridge | portable weighbridge manufacturer | load cell manufacturers | weighbridge manufacturers. We are counted as Manufacturer and Supplier for Leading Brands of Electronic Weighbridges & Weighing Scales. 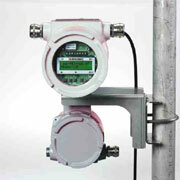 These products are highly acknowledged for their high efficiency, excellent performance and accurate measurements. We are leading manufacturer and trader of electronic weigh machines, electronic weighing scales, electronic scales, weighing systems, etc. We are leading manufacturer importer & exporter of balances, scales, weigh bridge & systems, jewellery instruments, professional digital ultrasonic cleaner / bath, check weighers & metal detectors, mass comprator, standard calibration weights components etc. Mag Engineers Suppliers & Exporters of weighing scales, loadcells and test equipment, drilling equipments, testing and measuring equipments, etc. 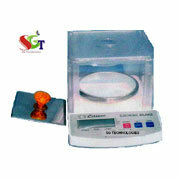 We manufacture trader & suppliers of all type weighing scale & load cell & all type weighing related materials etc. Vepro with an more experience and expertise for last 30 years is now entering a new Era,with its own manufacturing VEPRO WEIGHING,We are proud to state that we are one of the the few Indian companies capable of providing reliable weighing solutions. We manufacture trader & suppliers of weighing machines and weigh bridge etc. We provided services of computer, printers, networking, inverters, ups, weighing scale, consumables, repairs, maintenance etc.